Melaleuca alternifolia Essential Oil supports healthy skin*. It is commonly referred to as Tea Tree Essential Oil or Snake Oil. Because the benefits of tea tree oil are so recognized, it is no doubt one of the most popular essential oils of all times. Did you know that species of Melaleuca grow all over the world? Yes, most of the time we immediately think of Australia. But, the Melaleuca species also grow in Guatemala, France, China and Florida! They love swampy areas, so the Florida Everglades is a perfect environment for one of the species! Because there are so many species of Melaleuca and most companies don't label their bottles with the genus species, confusion and misuse is widespread. And it one of the most adulterated (chemicals added to it) oils on the planet along with rose, lavender, frankincense and eucalyptus species. This is why in this section I have provided some of the most common species and what they are used for. Also, of course, is all the information you need for Melaleuca alternifolia essential oil. It will tell you how to use it and what to use it for. It will also provide you with some fun suggestions, safety precautions for you and your pet! As I receive new tips and testimonials for Melaleuca alternifolia essential oilthey will be added to the page, so check back frequently! Buy Tea Tree or Melaleuca Alternifolia Essential Oil Here! Why is this information important? There are over 200 species of Melaleuca, and some species also have chemotypes. So this is definitely a plant you need to know a little information when selecting the essential oil you want to use! Chemotypes and species information is extremely important when you are selecting an oil. Remember, even though they may share some similar chemical constituents they are not at all the same. And they are used for different purposes. Melaleuca alternifolia - This oil is commonly known as Snake Oil or Tea Tree Oil. It has two chemotypes, but both contain terpinen-4-ol or terpinenol-4. This is the constituent that provides the benefits we all love. Some of the chemotypes contain 1, 8 cineole as well. Melaleuca quinquenervia - This oil is commonly known as MQV, Nerolina or Niaouli Essential Oil. It has several chemotypes, but all contain 1, 8 cineol and viridiflorol. MQV is supportive to healthy skin* and was used during World War II. It is very gentle and great for pet and animal use! Melaleuca ericifolia - This oil is commonly known as Rosalina Oil or Lavender Tea Tree Oil. It has two chemotypes, but both contain linalol and 1, 8 cineol. Linalol is the constituent that makes it very similar to Lavender species. M. ericifolia contains 34-45 percent linalol. It is very gentle. Melaleuca leucadendron - This oil is commonly known as Cajuput Oil. It has two chemotypes, but both contain 1, 8 cineol. This is the constituent that makes it very similar to Eucalyptus species such as radiata, polybractea and globulus. Where is the name derived from? Melaleuca comes from a Greek word "melas" meaning "black" and the word "leukos" meaning "white". Dark leaves and white bark! What is the ORAC Value? I don’t think it has been measured. But if you know, please let me know, and I will add it! Did you know that the name Tea Tree was given by Captain James Cook? Captain Cook shortly after landing in Botany Bay, Australia in 1770 found that the leaves made a lovely spicy tea! The tea was used by the European Settlers from that day forward! What are the Plant Properties? Soothing to skin, cleansing. What is the Aromatic Affect on the Mind? Melaleuca alternifolia essential oil is refreshing and cleansing. It has a strong herbaceous and woody scent. What is the Spiritual Influence? Melaleuca alternifolia essential oil eases mental stress and purifies the mind and body of emotional hurts. Once old hurts are released, the body can then change the behavioral patterns that led to the wounding to begin with. This may be particularly helpful for those that play the victim or "poor me" role. The emotional roots are often associated with distrust of self or others, guilt and shame. Of all which, can be released with the assistance of Tea Tree. Can this Oil be used for Pets? Yes, however, use it diluted. I would NOT use it for cats or dogs unless it was of therapeutic quality! And use it topically, not internally. MQV is a gentle species of melaleuca which is better for animal use. Still, I would search out an alternative oil for cats that has similar constituents. With the horses, I choose to use it in a specialty blend, rather than use it alone. The blends I use are professionally made. One of my favorite professionally blended oils for horse tails is Melrose Essential Oil. Tea Tree or Melrose is fantastic for dog ear cleaning! Dilute with coconut oil and place in ear with cotton swap. Never directly drop essential oil in the ear! Add some lavender for calming. Note about Animal Use: Certain oils can be very toxic to cats especially poor quality oils! 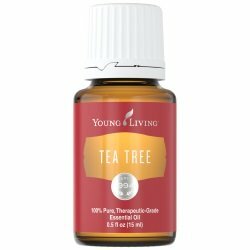 Tea Tree, pine and citrus oils in particular when not therapeutic grade. Please consult your vet if you are not sure about applying any essential oil to your pet. What are the Safety Precautions? First, only use therapeutic grade essential oils! Melaleuca alternifolia essential oil is Generally Regarded as Safe (GRAS) for internal consumption by the FDA. However, there are better oils to use for internal use that have similar properties. Children under 6 years old should not use Melaleuca alternifolia essential oil as a dietary supplement. Children over 6 use cautiously. Contact sensitization may develop with repeated use. Did you know that the term Snake oil because Australian aborigines traditionally used it as a snake remedy? You can see then, how when the United States was settled, Snake Oil became in popular demand. Unfortunately, many of the salesmen were selling Tea Tree that did not work? And they were named Snake Oil Salesmen! Sorry to say, but there is still a great deal of this going on today! Please know your source and genus species of the oil you want to purchase! Want to Purchase Therapeutic Melaleuca alternifolia Essential Oil? Go to the Oil Shop! Buy Tea Tree or Melaleuca alternifolia Oil Here! Use Melaleuca alternifolia Essential Oil to cleanse and purify your work space or home from negative emotions or thoughts. Buy MQV Essential Oil Here!